In Design – Sundance DSP Inc.
On this page you find details of hardware, software, firmware and system solutions currently under development. These maybe at different stages of development and if in the earlier stages then it may be possible to make changes to the specification to more closely suit your requirements. Please contact us for details and a discussion of your project needs. SE200 is a x8 Gen3 PCIe carrier card for housing 2 PolarFire FPGA SoM modules from Sundance DSP. 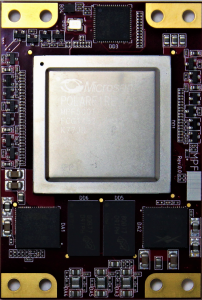 PolarFire is the latest FPGA from Microsemi with many advanced features like low power, high security and powerful embedded hard IP cores including RISC processor and JSD204B, and many more. Copyright © 2019 - Sundance DSP Inc.